So, what’s the difference between a financial coach and a financial planner? When I introduce myself as the Financial Lifeguard, I’m frequently mistaken for a financial planner, which I’m not. I can see why people are confused about this. 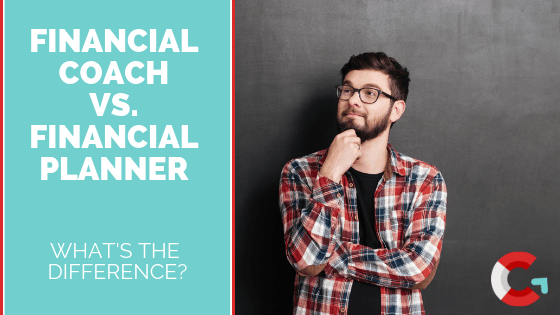 Not only are financial coaches and planners different from each other, but there are several names that are used interchangeably for both. Financial coaches might call themselves money coaches, financial counselors, or even debt coaches. Financial planners go by an even wider variety of names: wealth advisor, financial advisor, financial professional, financial representative, wealth management advisor, or Certified Financial Planner. No wonder you’re confused! What’s the Difference Between a Financial Coach and a Financial Planner? No matter what a financial coach or financial planner calls him or herself, there are at least four key differences between the two groups. 1.) Their Expertise. The financial coach’s expertise focuses on daily money management: spending (budgeting), saving, and debt reduction. Coaches may have additional areas of expertise beyond these essentials. For example, I’m also an expert on money as it relates to emotions and relationships. Other money coaches might specialize in credit repair or debt restructuring. The financial planner’s expertise lies in long-term wealth planning: stocks, bonds, mutual funds, annuities, and other investments. Some financial planners might also be experts in tax planning or insurance products. 2.) Retirement. The difference between a financial coach and financial planner here is pretty simple. The coach helps you form the savings habit of putting money away regularly and in larger amounts into your 401(k), 403(b) or your IRA. The financial planner advises you on which investments should be inside of these retirement accounts. He or she also warns you if you’re not putting enough money aside to achieve your goals. The point is to ask both financial coaches and financial planners about their certifications, training, and past experience. You should feel comfortable with their answers, and ask for references to call before hiring them. A financial planner’s goal for you is the long-term growth of your assets so you don’t run out of money in retirement. Unlike a money coach, you will want to work with a financial planner for your entire life. Investments and the market are constantly changing. You want someone who’s sole job it is to keep their finger on the pulse of the financial markets, advising you when and what to buy and sell. What’s the difference between a financial coach and a financial planner? Here it is in a nutshell: A financial coach helps you get and stay financially healthy. A financial planner helps you get and stay financially wealthy. Think you might want to hire me as your money coach? Let’s set up a 15-minute call and see if we’re a good fit to work together.